Gallbladder, Breast, Hemorrhoid, Thyroid, Gastrointestinal, Hernia Surgery in Crystal River, Colon Cancer. Dr. Mo is a Board Certified General Surgeon experienced in the following procedures: Laparoscopic Surgery, Gallbladder Surgery, Breast Surgery, Hemorrhoid Surgery, Thyroid Surgery, Gastrointestinal Surgery, Colon Cancer, Skin Lesions, Hernia Surgery, and minor office procedures with a special interest in minimally invasive surgical techniques. 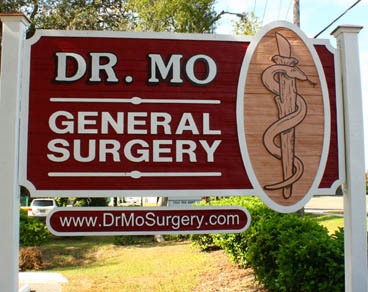 Before going into private practice in Crystal River in January of 2010, Dr. Mo was employed as a surgical house staff member at the following medical institutions: Wellspan Health in Gettysburg, Pennsylvania, Olympic Medical Center in Port Angeles, Washington and Redington-Fairview General Hospital in Skowhegan, Maine. Upon completion of his education at Florida State University where Dr. Mo received a Bachelor of Science with a major in Biology and a minor in Mathematics, Chemistry, and Physics in 2000, he went on to receive his Doctor of Osteopathy degree from Lake Erie College of Osteopathic Medicine in 2004. Dr. Mo completed his internship and residency at Philadelphia College of Osteopathic Medicine, where he was elected chief intern 2004-2005 and received the "Intern of the Year" award during that same period. He was also elected chief resident during 2008-2009. Reproduction in whole or in part without permission is prohibited. Adnan Mohammadbhoy D.O., P.A.